All Nutrition Addition products look fresh and clean to meld with any existing website theme. Working with desktops, tablets, and phones, our products are based on responsive designs. Our products are easy to use while conveying tons of information to the user. Add your own flare to a Nutrition Addition product with custom colors, graphics, and styling. The most powerful way to disseminate nutrition information available on the market today! The Nutrition App is the Nutrition Calculator in native form on your phone. 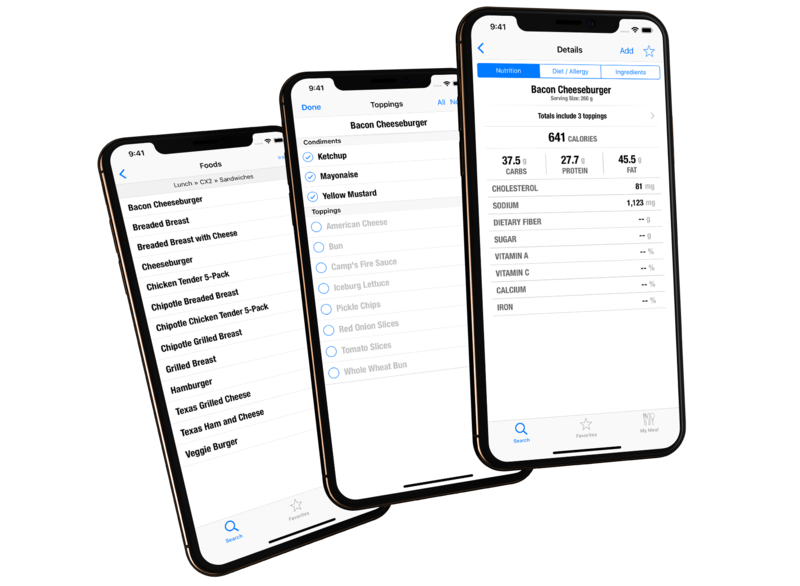 Available for iOS and Android, the Nutrition App combines the power of search with the ability to filter foods to find just the right item for your customers’ dietary needs. Complete build-a-meal functionality along with options to favorite any food desired extends this tool from something simple and interesting to useful and instructive. Ask questions and get answers in real time. Get advice on how to make a Nutrition Addition product a fit for your organization. 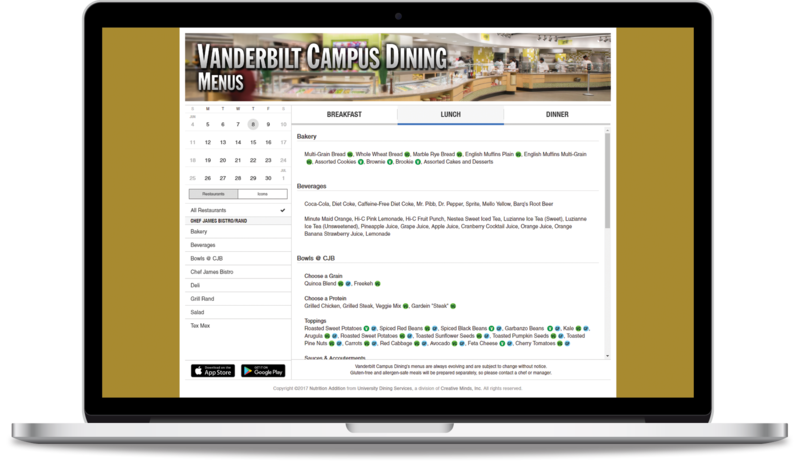 The Menu Manager is the best way to present menus to your customers in an online manner. 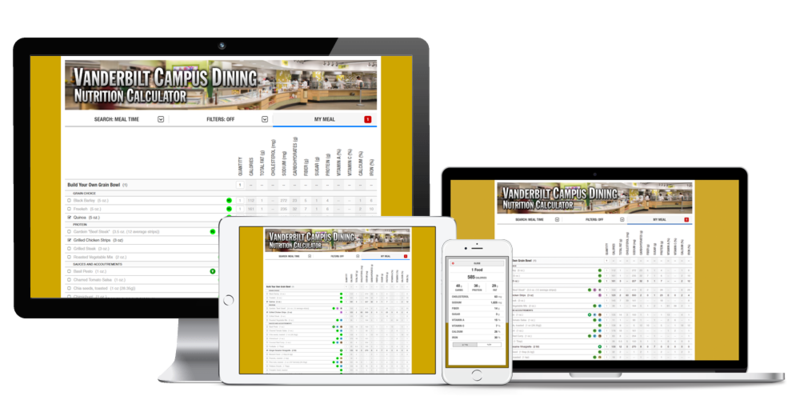 A comprehensive solution for static menus, simple or complex menu rotations, single- or multiple-serving-line operations, or any combination of the above. Plus, the Menu Manager connects with the Nutrition Calculator to show nutritional information for the foods you serve! 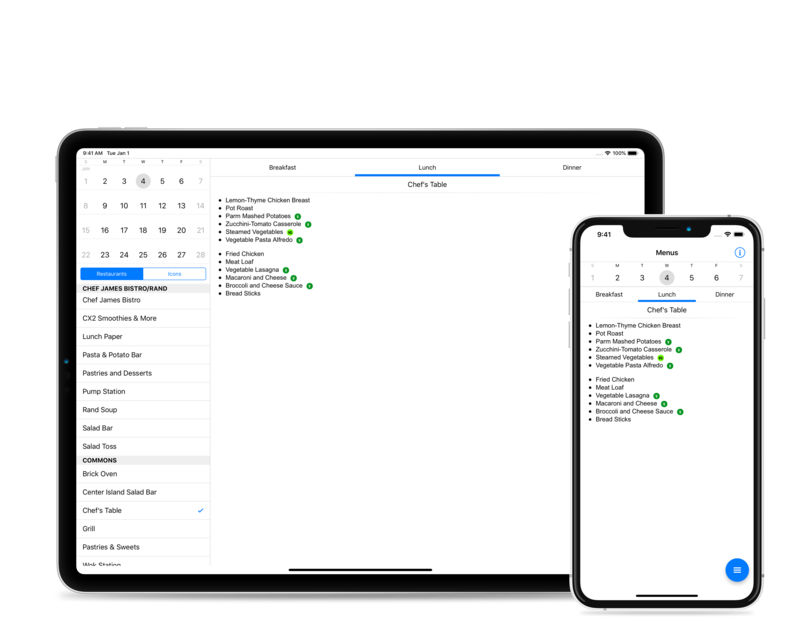 The Menus App brings the Menu Manager to your iPhone, iPad, or Android phone or tablet. With all of the features accessible from one screen, the Menus App makes disseminating information both informative and convenient. Utilize over 8,100 ingredients supplied by the USDA. Add your own custom ingredients for regional or cultural specialties. 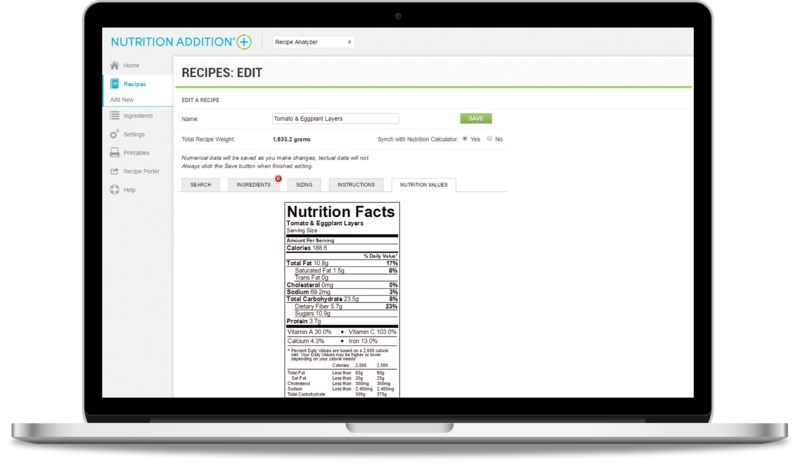 Use recipes as ingredients in other recipes to make the analysis easier to update. Port recipes to the Nutrition Calculator to disseminate to your customers.